One of the most popular facial hair styles out there is the goatee. There have always been plenty of goatee styles available, and it’s clear why. There’s a type of goatee for every age, hair color, and face shape. 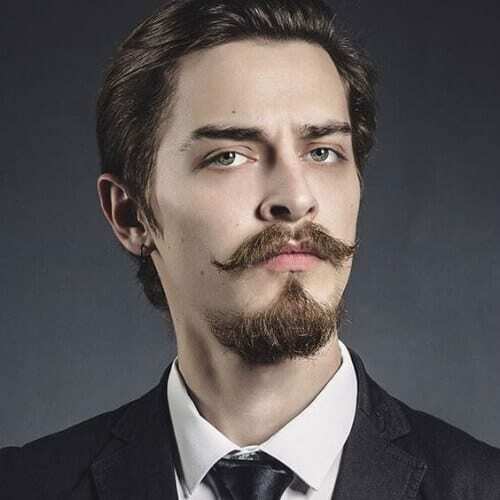 Business men, workers, college students, and hipsters all love the goatee look. Even celebrities can’t get enough of this classic look, sporting a goatee regardless of the year and fashion trends. But goatee styles require maintenance so get ready to put your shaving skills to the test. Here are 50 ideas that will inspire you. It looks like Robert Pattinson gave in to the goatee style look. Celebrity goatee styles prove once more that having a goatee can really make a difference. His patch of beard elongates his beautiful features and accentuates his classic jawline. 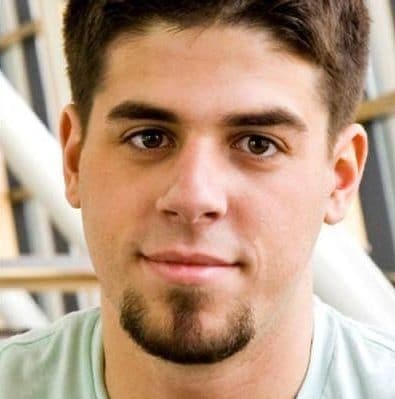 This grey goatee style is a traditional one. 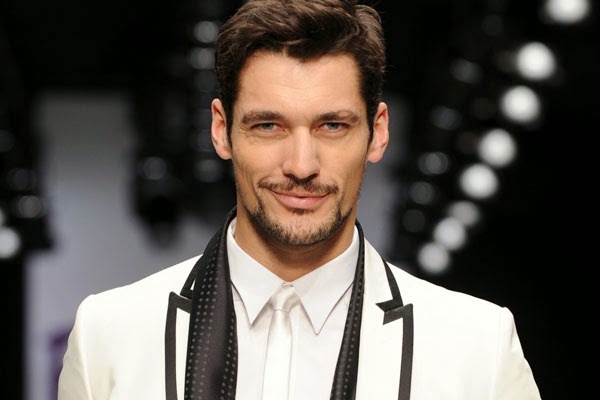 Mature men can look amazing just by going for the chin goatee style that works well for facial shape and hair color. 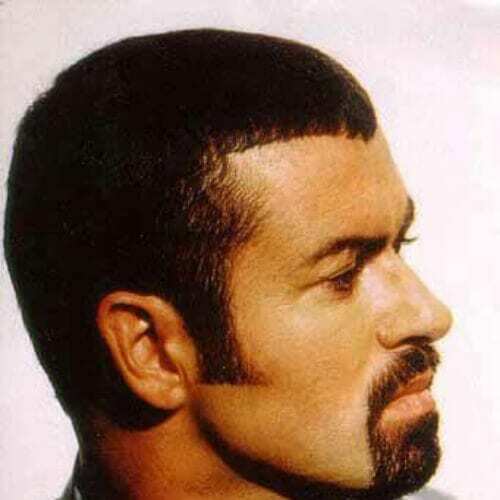 This was one of the most popular goatee styles back in the 80s, and it seems it still has its legion of fans. The right accessories such as shades, jewelry and earrings can highlight a flawless look from head to toe. Not to mention a small goatee that goes well with an urban look. It can be the defining touch on an otherwise poised and polished ensemble. 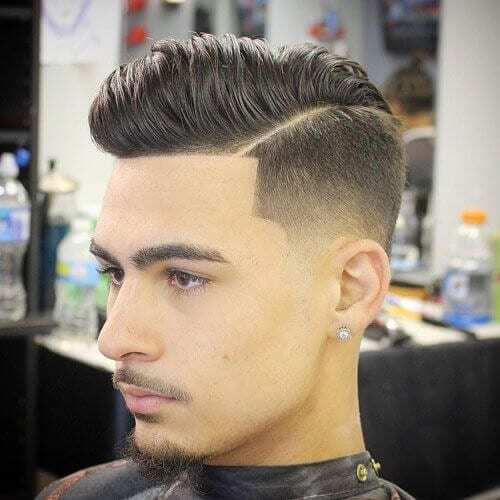 This popular look has been redefined by fashion and trends, looking better and better each passing day thanks to the new shapes invented by celebrities, barbers and stylists. The ‘five o’clock shadow’ with a goatee is the perfect choice for those men who prefer to play the subtle card. 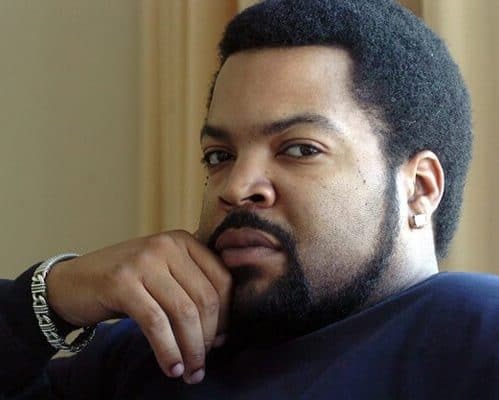 There are many images that capture Ice Cube’s iconic goatee. 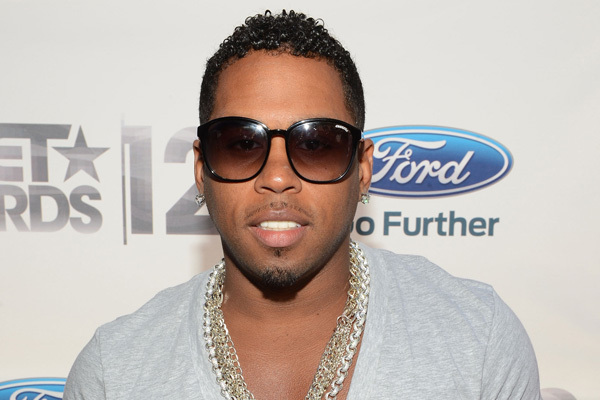 The abundance of black male goatee styles makes it hard to pick a favorite. The 90s popular goatee styles keep making a comeback thanks to celebrities like Ice Cube. 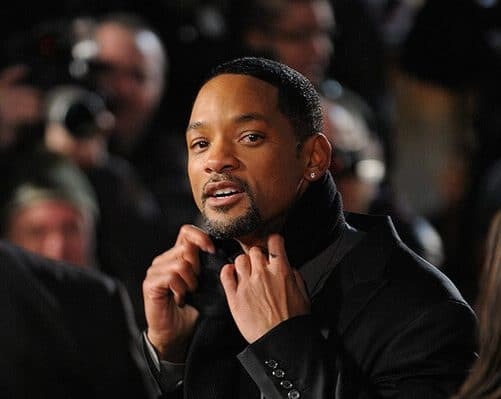 Will Smith is one trendy actor that is also famous for his inspired looks. 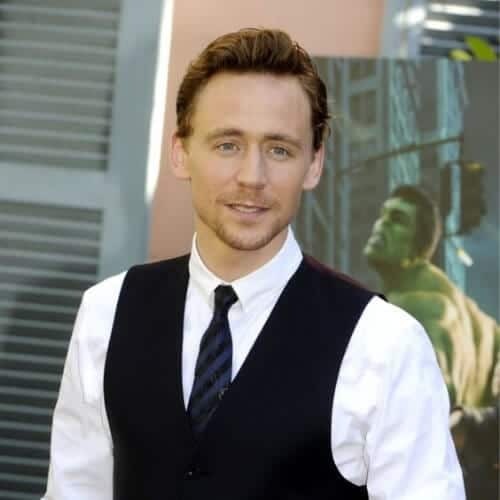 His grey goatee has been trimmed to perfection to show off that even in his late forties, this singer turned actor is still one of the most handsome men around. The classic look for goatees usually implies having a mustache and a beard. Men have been preoccupied with their facial hair for centuries now and the goatee is the result of decades of experimenting. So feel free to try out different looks with or without a mustache, depending on your face type. 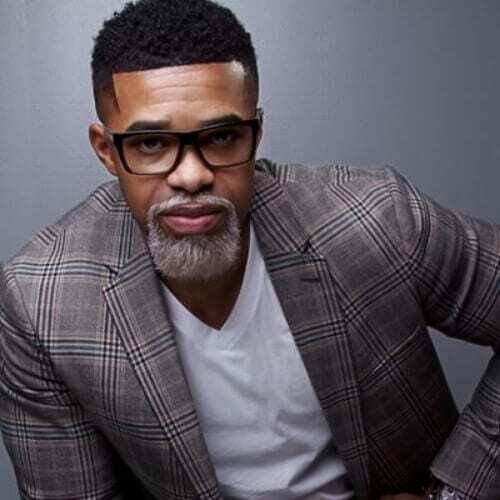 More and more hipsters are into goatee coloring to look older. You can actually dye your goatee any color that you can think of, but if you want to achieve the laid back look better go for grey goatees. Beards, goatees and mustaches all need to be styled. It may take a little extra time on your part, but in the end it’s worth it. 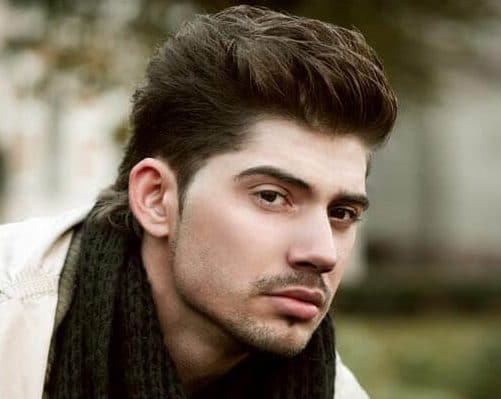 Talk to your stylist about what hairstyle works best for your facial type and the goatee you have in mind. 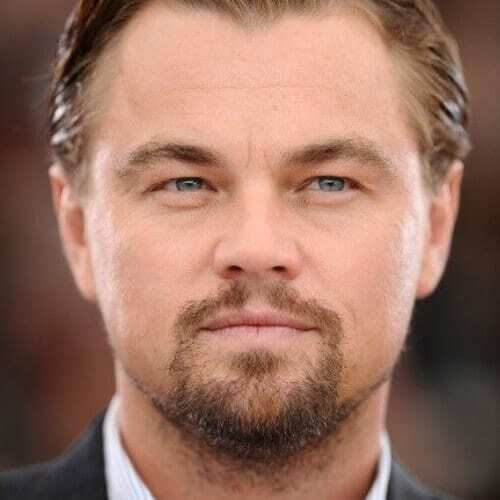 When Leo left behind his boyish charms and that iconic blonde 90s haircut he used to wear, he moved on to a more mature slick back paired with a handsome goatee and, later on, a full and very well-groomed beard. This subtle cool goatee style deserves your attention. It’s the kind of goatee that goes well with any fashion style that you can think of. It’s hip and urban, especially when paired with a contemporary hairstyle such as this very high quiff. 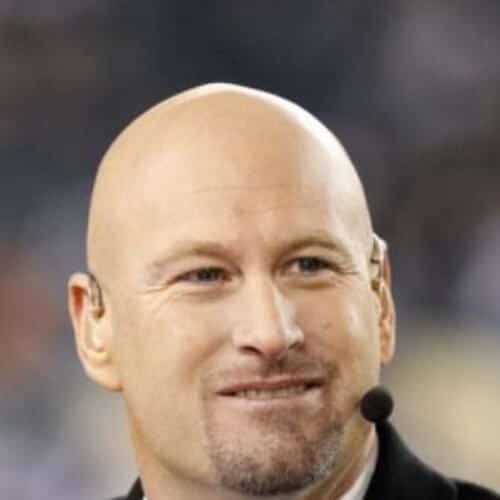 This seems like the perfect choice for bald men who like the bad boy look. 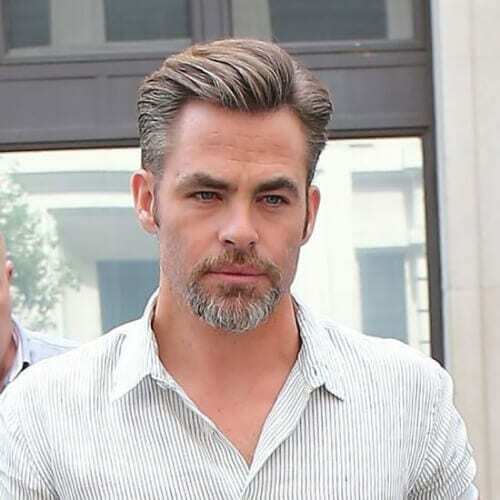 A full-on beard might be a bit too much for men who have decided to shave it all off. Therefore, a subtle goatee is the in-between solution you’ve been waiting for. Amazing can’t even begin to describe this flawless looking goatee. Its avant-garde cut can leave anyone breathless. 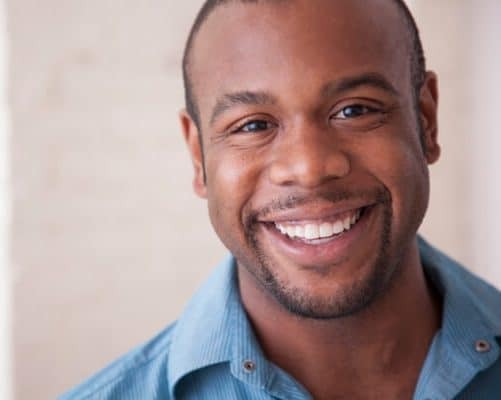 African American goatee styles are very popular since they flatter black men so easily. We also love the fact that it’s gray. 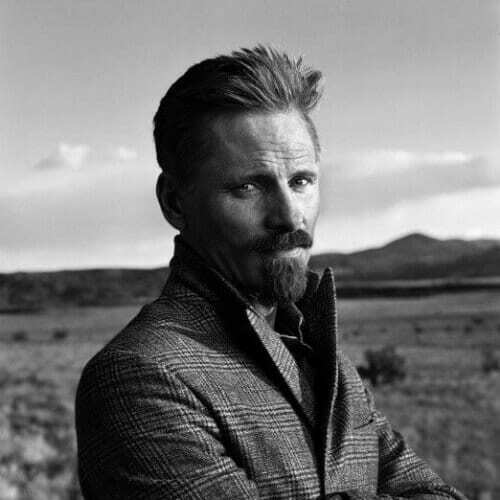 It’s amazing how many Hollywood leading men have tried on the goatee for good measure. Needless to say, they all looked flawless. If you need even more inspiration, here’s another piece we wrote on Hollywood celebrities and their beards. 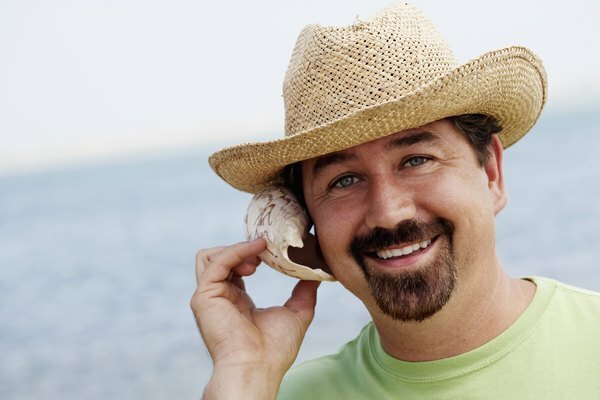 The thin goatee style is recommended for older men who want to look younger. It’s a very low maintenance goatee that will not take up a lot of your time in the morning but will make your face look slimmer and more angular. When this actor decided he wanted to sport a goatee, he didn’t play around. 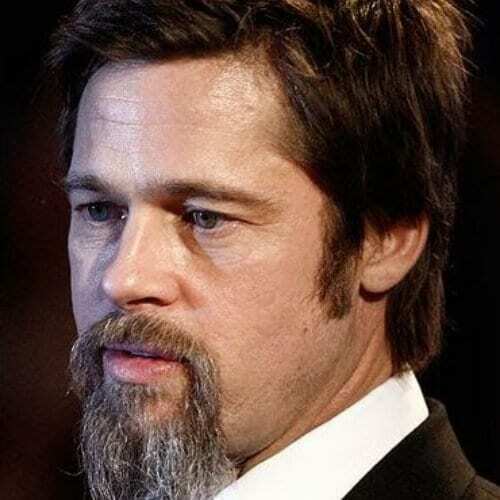 Brad Pitt showed some real love to this for this particular trend a grew a medium-length goatee spiked with a few of his natural graying hairs here and there. 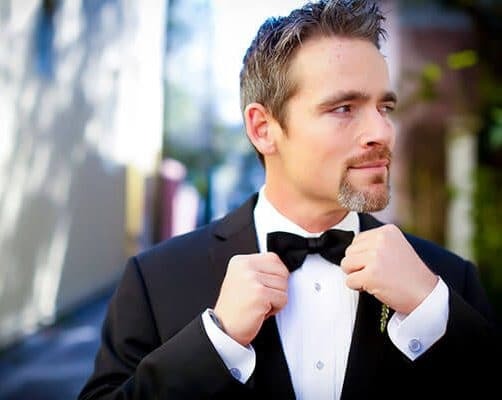 What men seem to appreciate the most when it comes to the best goatee styles is the fact that any goatee look can be altered as to flatter one’s facial features. This unique trait can make any man feel good about himself. Styling beards isn’t that hard. Especially when the beard is highlighted by a perfect goatee. Older men can look incredibly handsome when sporting such a fine goatee. There are some men who like to take there love for the whimsical a step forward. 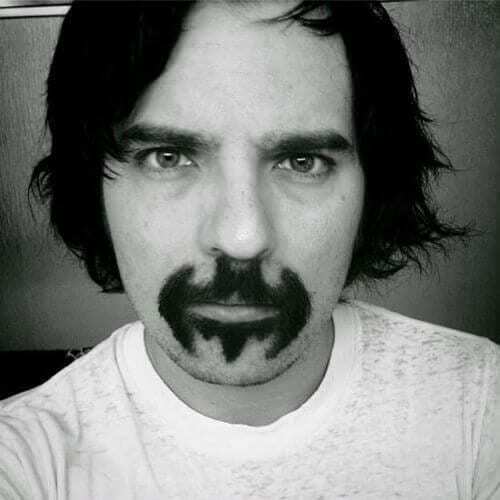 If you are one of them, then this goatee shaped like the Batman logo is the right choice for you. Of course, you can get it in the shape of your favorite superhero. 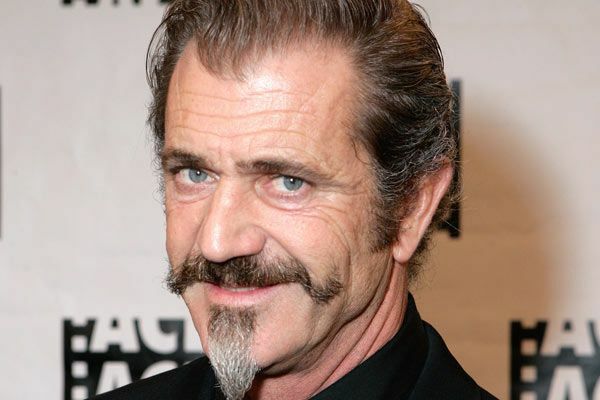 Mel Gibson shows that long goatee styles can be one inspired choice. 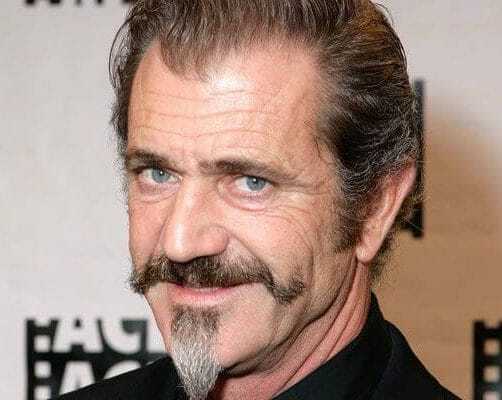 Goatee and mustache styles have been around for quite some time and many actors have decided to revive this look because it is associated with creativity. Styling a goatee can be tricky at times. This is why you should go to a barber’s salon first and choose what the stylist recommends you in terms of length, shape, and hair care. You should know that the best goatee styles for men are the ones that come with a small mustache. Short goatee styles can easily pass as the five o’clock shadow. Johnny Depp is a big fan of the all-American, writer on a break look, and he definitely owns that goatee. 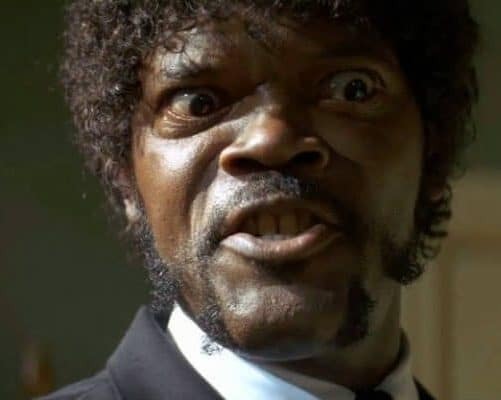 But was there ever a look that this actor didn’t own? 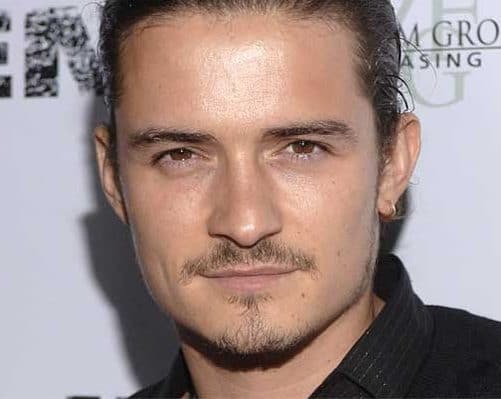 Orlando Bloom looks like a bad guy which proves that short goatees can be very versatile. The difference is marked by style, attitude, and face shape. We love that he took his Pirates of the Caribbean look to the streets. 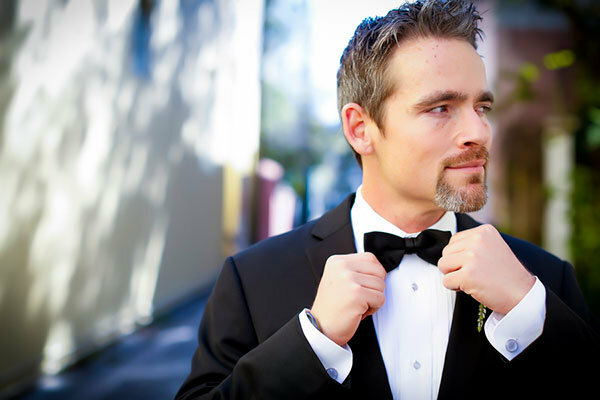 Men’s goatee styles are appropriate in various contexts from business appointments to formal meetings or casual dates. 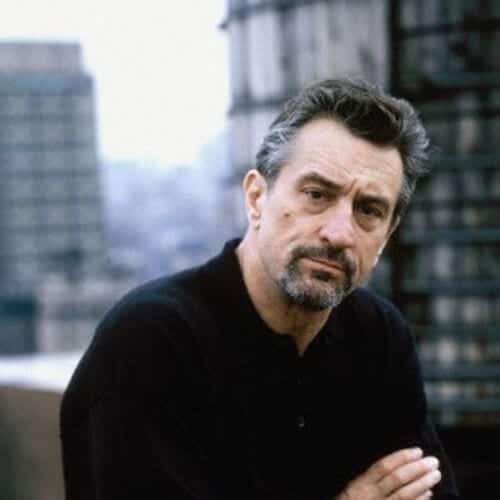 Robert DeNiro’s goatee as well as his beautiful, messy comb over is close to perfection and an inspiration to us all. 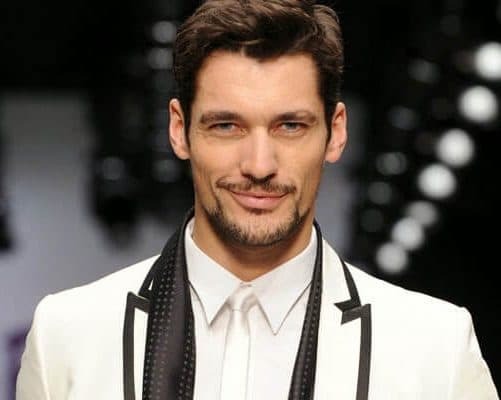 Stylists recommend men with long, oval shaped faces to go for any goatee style because their facial features can handle almost any kind of beard, mustache or goatee. In fact, did you know that the oval face is officially recognized as the perfect face shape? Beards have been trending for years now. 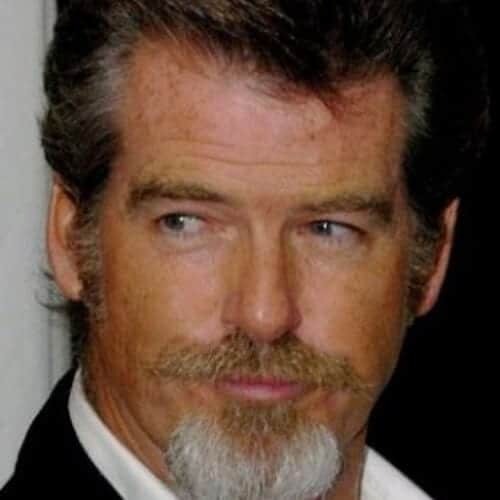 Add a stylish goatee and you can nail this inspired look that comes from James Bond himself, portrayed here by actor Pierce Brosnan. He has a roguish look and a twinkle in his eye that we;re sure are due to that goatee. 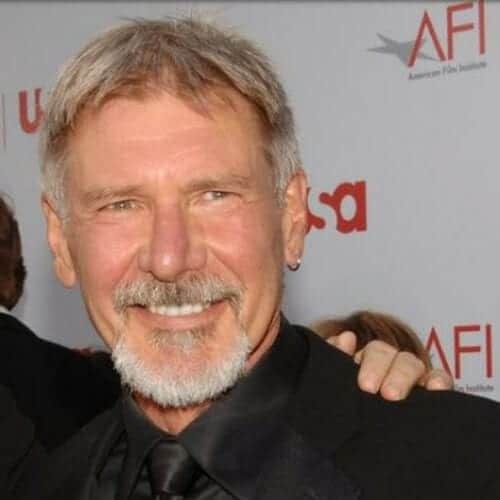 Another classically handsome man of the silver screen is none other than Indiana Jones himself. Or Han Solo. 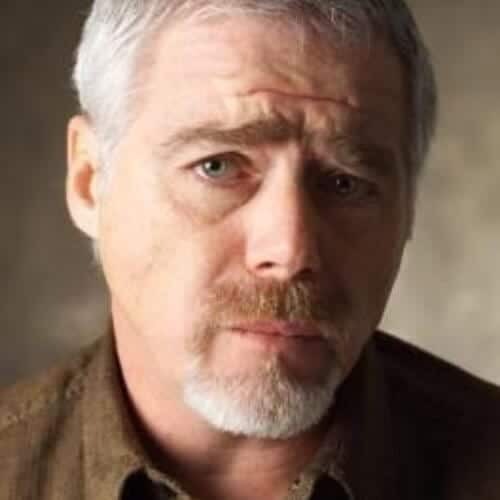 He can definitely pull off the gray hair, matching goatee, and single earring look, can’t he? Goatees don’t need too much styling. If you want to trim a goatee, remember that you can do so only when your facial hair is dry. For more information, ask your stylist and he or she will be able to help you out in a professional manner. A well-trimmed goatee can make you stand out in the crowd. 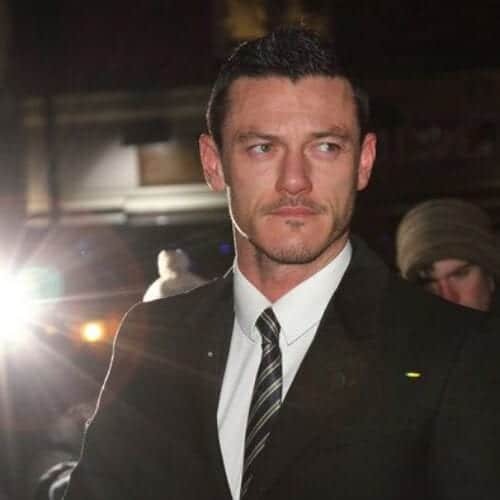 Luke Evans is the living proof that goatees can be the perfect ingredient to an elegant look. 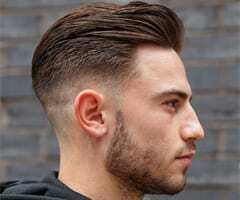 We wears a short trimmed haircut with a few gelled spikes in the front. Samuel L. Jackson’s horse shoe goatee was a big thing during the 90s. 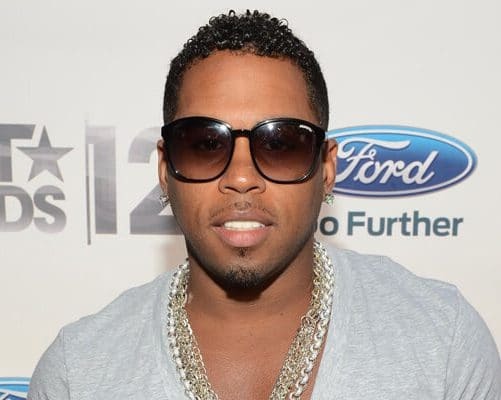 Chances are that a lot of men will end up going for this awesome look in 2018 as well, seeing as we are living through a revival of the 90s right now. 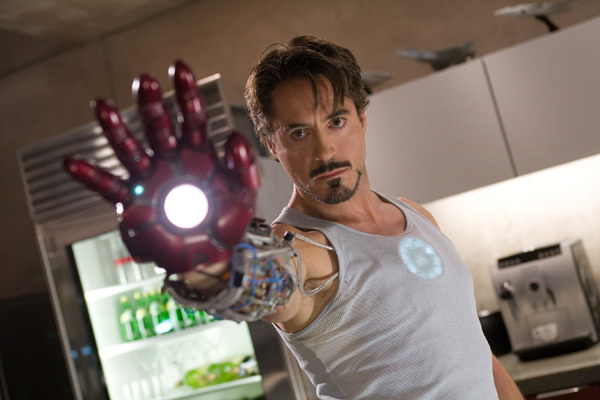 Who can resist Iron Man’s charms? Or his goatee for that matter? 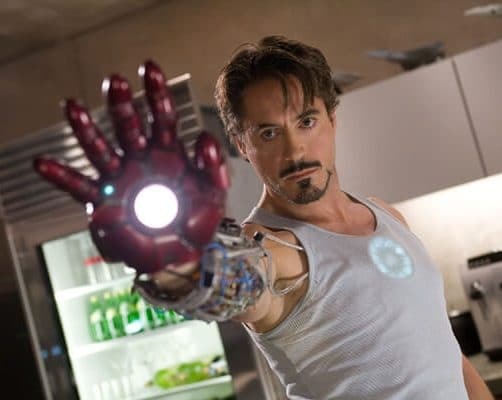 Robert Downey Jr. has actually adopted a version of this beard and goatee in real life as well, in what critics and fans alike name a blurring of the lines between character Tony Stark and the actor playing him. Goatees have started as facial hair growing on a man’s chin. 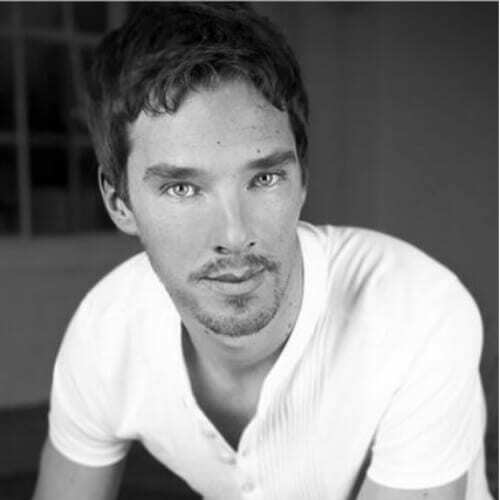 In time, due to its increasing popularity, the goatee has suffered numerous changes. 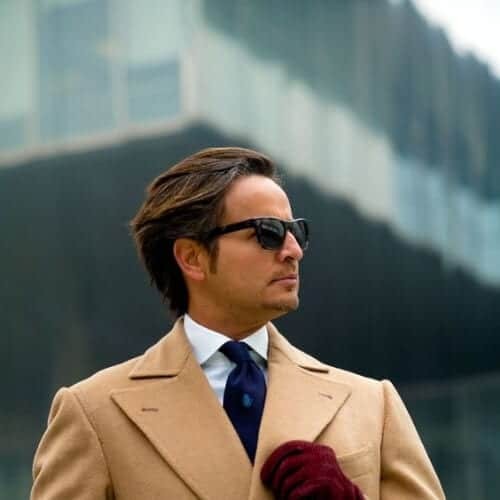 However, this remains the all-time popular and traditional style that most men still wear to this day. The hairstyle is as important as the goatee itself so if you plan on drawing people’s attention, go for an undercut to match a thick goatee. Undercuts have definitely been the hairstyles of the past few seasons, so you know you won’t miss the mark with this one. 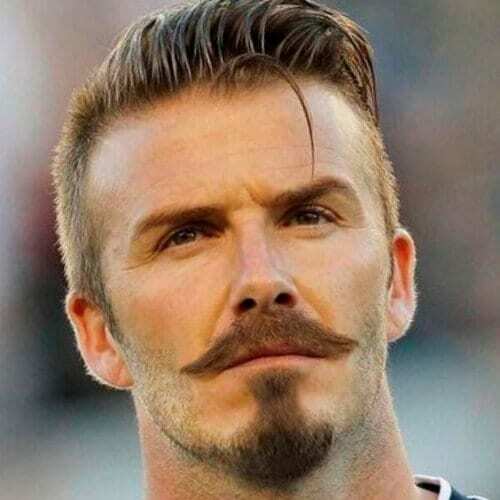 Everybody perceives David Beckham as a fashion icon, and he certainly deserves this title. 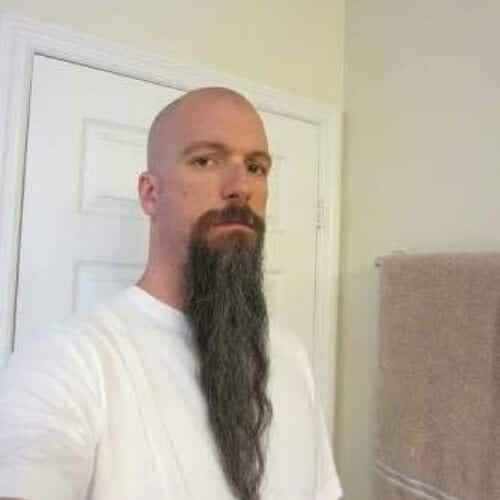 His type of goatee is recommended for guys with oval faces. Therefore, if you have similar facial features, David Beckham can become your inspiration. Most goatee styles for men are a modern interpretation of the old ones. 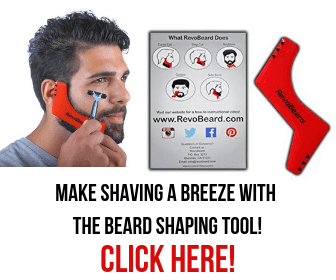 There are so many different styles of beards and goatees, thus helping any man find the right style for him. 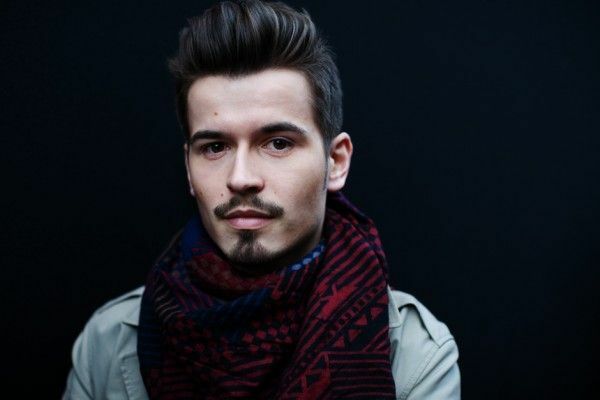 This is the main purpose of a modern goatee style. There are plenty of goatee styles for older men. 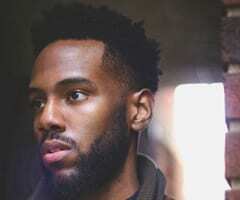 Most of them are low-maintenance and require regular trimming but once you get used to the schedule and the routine, you won’t even notice you’re taking care of your beard anymore. Some men prefer a goatee without a mustache. 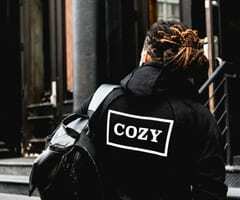 This look was popular during the 90 and it goes well with casual fashion styles. Be careful also to trim your sideburns and any other patches of beard you might still have on your face. This kind of goatee beard style requires more maintenance but it is worth the trouble nevertheless. 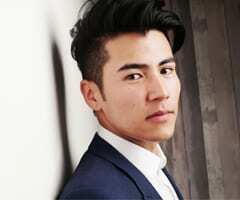 Many men want to know how long it takes to grow it out, but it actually varies and it depends on each individual. 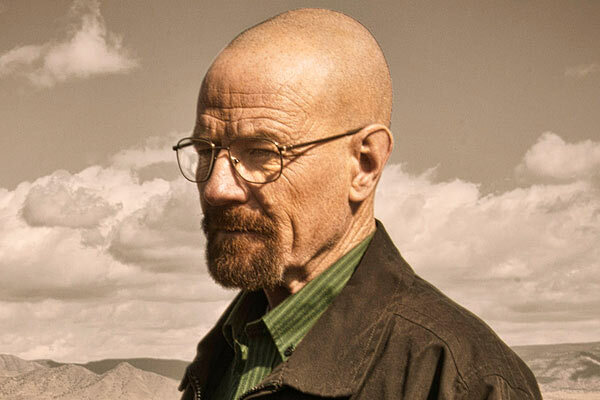 Bryan Cranston proves how inspired a goatee can be for a bald, older man. 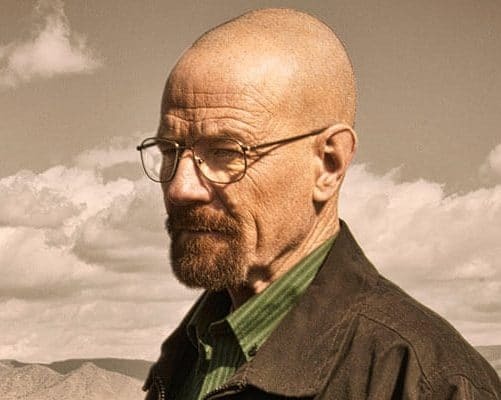 His look with a bald head, a bushy goatee, and the retro glasses as Walter White in Breaking Bad is an iconic one which many have tried to copy or cosplay. 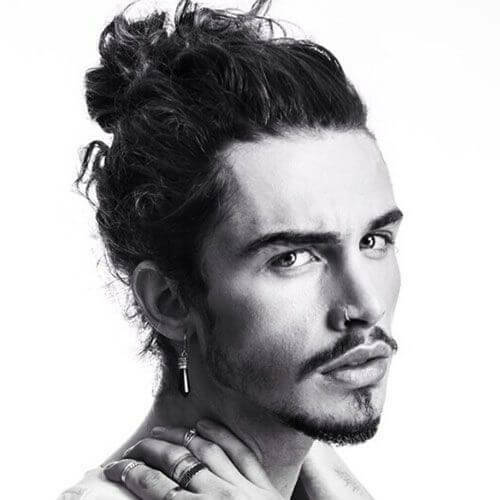 Another inspired choice is highlighting a goatee by going for a man bun. It’s a trending look and it may not last for too long, but it is certainly worth a shot. The man bun along with its little brother the top knot is the hairstyle of the decade. 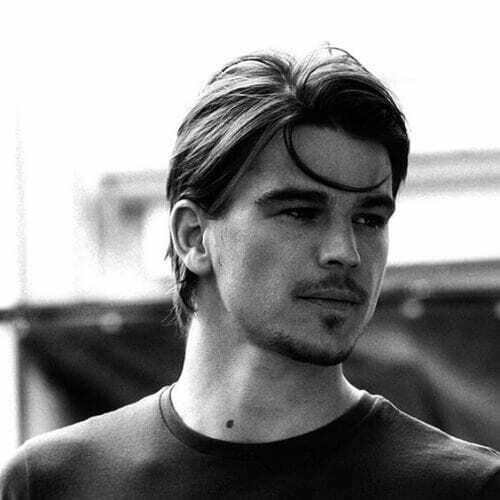 Between the 90s heartthrob haircut and the amazingly stylized and maintained goatee, actor Josh Hartnett was a real hit with the ladies during the 2000s. His classically handsome face and deep-set eyes spoke volumes. When you’re one of the best looking men in Hollywood, there’s really not much you can do wrong regarding your looks. 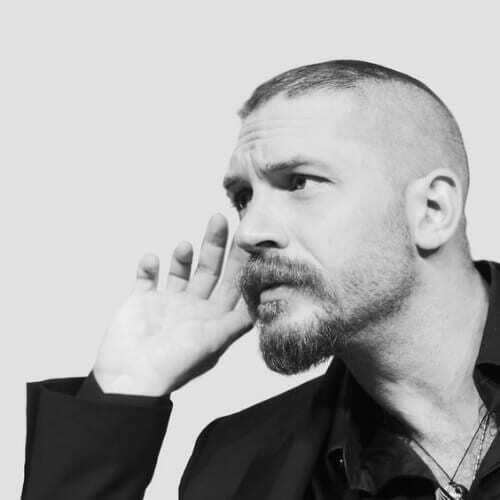 Tom Hardy stays true to his bad boy persona and pairs up an overgrown goatee with a five o’clock shadow and a buzz cut with shaved sides. 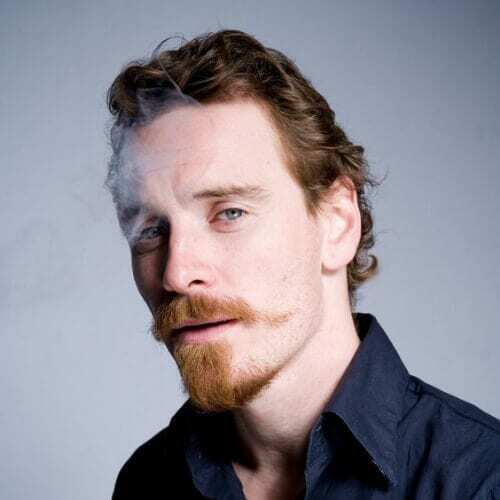 Not surprisingly to anyone, Michael Fassbender’s goatee is ginger. This adds subtle charm to his whole demeanor and, evidently, highlights his gorgeous blue eyes. He can be your inspiration if you have a ginger beard as well. Here’s a throwback picture to another look that was very popular in the 90s. It’s the wet hair look that could be achieved by using copious amounts of hair gel. It would define your long curls and make them look like you just stepped out of the shower. Aragorn looks kingly even with a goatee instead of his ranger beard. 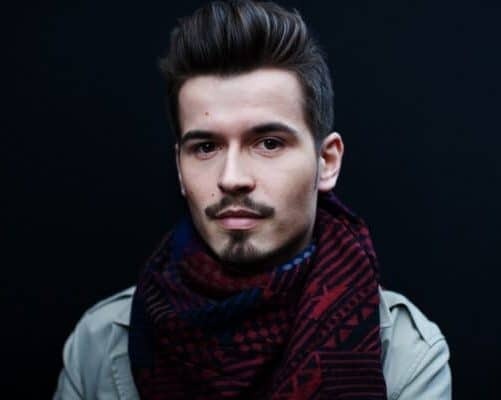 When appropriately styled, a goatee can be an exquisite addition to your roster of accessories which include well-trimmed hairstyle and fancy clothes. Former Disney star and now certified hunk Zac Efron turns to a goatee when he wants to show his rugged side. It’s a good idea because his natural brown hair highlights his baby blue eyes in a wonderful way. 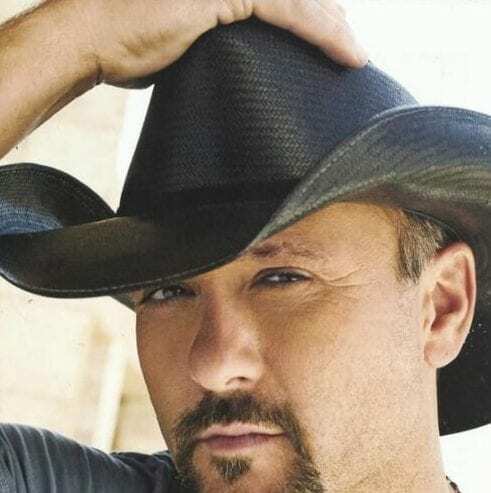 Country superstar Tim McGraw has a signature look that consists of a wide-brimmed cowboy hat and, of course, a bushy goatee. He doesn’t seem to want to let it go anytime soon, and we’re really glad. 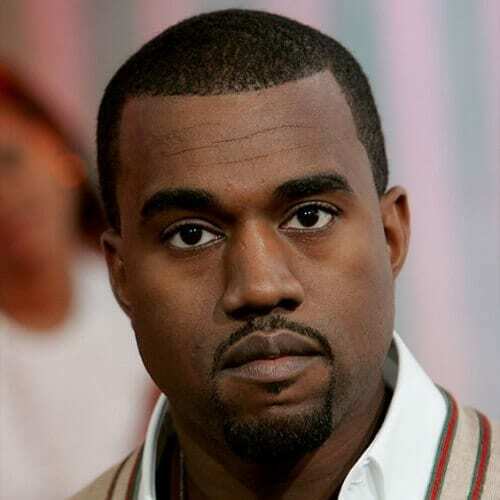 Another singing superstar who has an iconic look which comprises a goatee is none other than Kanye West. Self-appointed as better than Shakespeare and many others, Kanye has left his mark on pop culture. 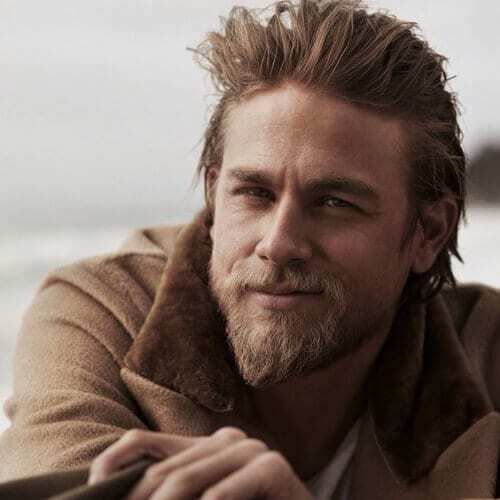 Actor Charlie Hunnam is, without a doubt, one of the most handsome owners of a goatee out there. He is naturally blonde. Therefore, so is his goatee which he wears rather longer than others and perfectly groomed. 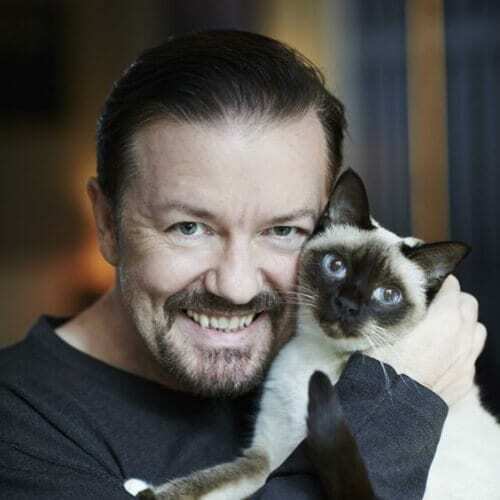 This comedian and animal lover has been a fan of goatee styles since we can remember. 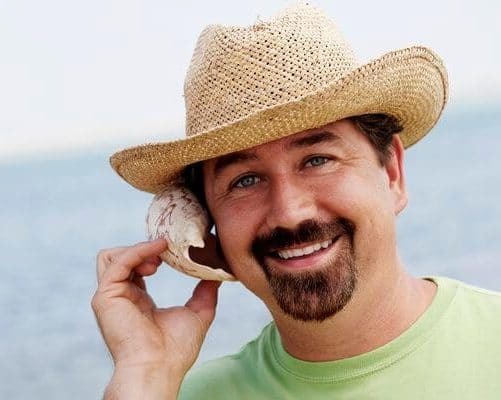 The creator of The Office wears a simple dark goatee to match his slicked back hair and very casual style. Even though they were a very big hit in the 90s, goatee styles are still trending in 2018 as well. 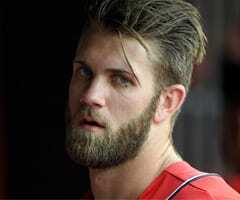 This just goes to show that this facial hair choice is an everlasting one, much like mutton chops or the beard itself. Ranging from the classic goatee to an extra long one to a goatee without a mustache to one shaped like the Batman logo, goatees can take any form you like, depending on your imagination. Which one are you getting?